right. cause I need another reason to hate spiders. 2. it wasn’t a tick. and it’s not Lyme disease because it lacks the ‘bulls-eye pattern’. 3. it was most likely a spider. 4. it gave me a gnarly bite with a big, solid pinkish red ring around it. 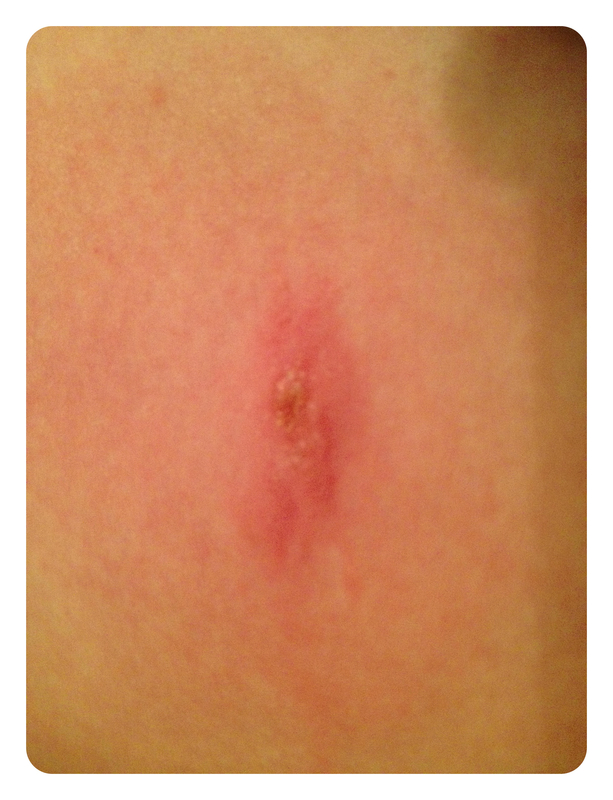 5. it itches. a lot. 6. sometimes, though, it doesn’t itch much. like when I’m distracted by other things. 7. a regular paste of baking soda and water seems to help. evidenced by the big, solid pinkish red ring diminishing greatly over time. 9. pictures don’t do it justice. 10. this town has too many creepy, crawly, slithery, slimy creatures. we should probably consider moving.